In winter, it’s not that uncomfortable to wear them but in summer… All of you, who are going through the same thing may know what I’m talking about. And to those who don’t: You don’t miss anything. I’ve always envied the ones who could just wear shorts and t-shirts for going to work. Wearing the suit in the summer months doesn’t make you feel like warm, it makes you feel incredibly hot. Some posts earlier, I’ve talked about the functional clothing of CALIDA. They have also a special business shirt in their collection, which aims at exactly this type of people. Men wearing suits. 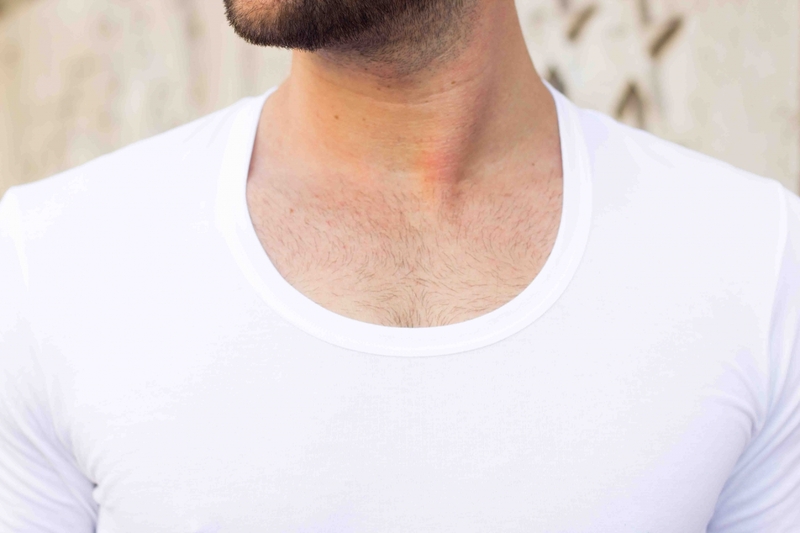 It’s a cool but simple white t-shirt that you could wear also directly below your suit. However, I’ve combined it here with a white elegant shirt and a blazer on top. As it has a lower crew neck, you won’t see it even with an opened collar of a shirt. Breathable and moisture regulating – the two components a shirt needs to let you feel good throughout the day. However, temperature are slightly decreasing here in Zurich and you don’t have the heat issue anymore. But anyways wearing a functional shirt beneath your business outfit keeps you warm and dry during the winter season.